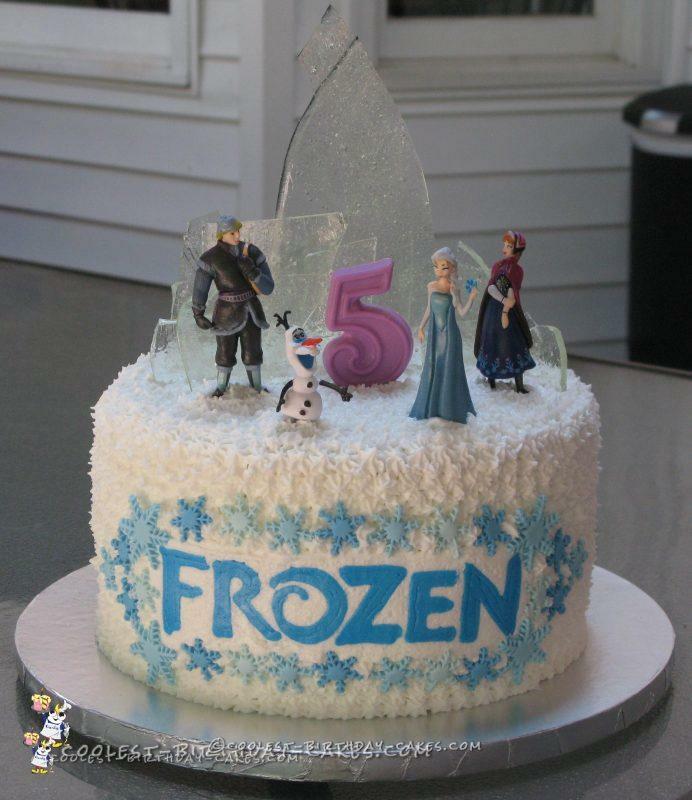 I made this Frozen birthday cake for my daughter. Frozen… the movie that literally every mom knows. In fact, I bet every mom knows every single word to the song, “Let It Go.” Backwards. Maybe even in Chinese. I’ve gone as far as getting the sheet music and downloading background music to play it on my flute. The things we do for our children. 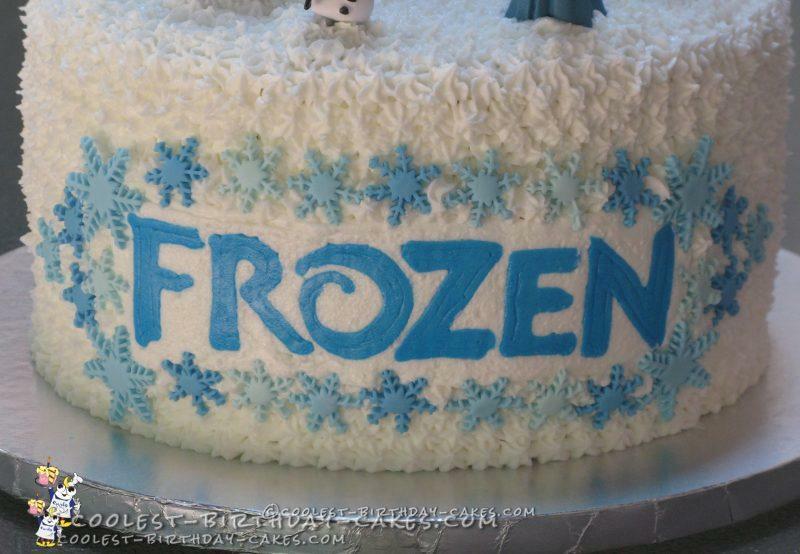 The “Frozen” lettering on the cake is a frozen buttercream transfer. The snowflakes are made out of fondant, a variety of different shades of blue and cut out with a snowflake cutter. I rolled out the fondant and cut the snowflakes out several days before putting the cake together so the snowflakes could harden. The 5 is made out of chocolate using a chocolate mold. The “ice” is made out of hard candy, and the cake toppers were purchased from Amazon. In all honesty, you can use any figurines you please for placing items on a cake as decorations. Just make sure they’re nice and clean before placing them on the cake. Nobody wants cooties. The cake was a 10 inch 4 layer white almond cake with buttercream icing…and I have to say it was a big hit. There’s nothing like having a Frozen birthday pool party in August.